Honour all men and women. 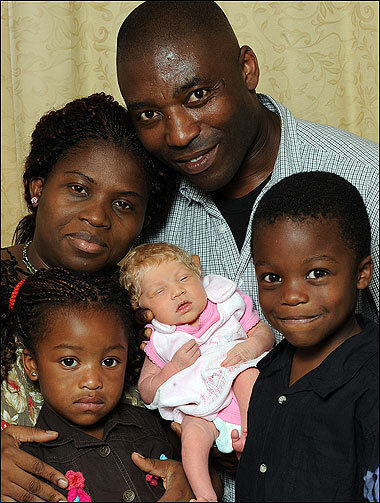 A Nigerian Igbo couple from the Eastern segment of that country, living in England has given birth to a white, blue-eyed blonde baby. Free BuJu Banton! : Boom Bye Bye!!! !